In 2014 key leaders in higher education came together to form a Postsecondary Credential Attainment Workgroup to forge a new action plan for how Michigan can help many more citizens achieve the needed postsecondary credentials that will allow them to find a place, or create a place, in the economy of today and tomorrow. Over several months this workgroup assessed Michigan's population changes, benchmarked Michigan's overall postsecondary education performance; and performance by region, race, gender, age and income sub-groups. It examined what other states are doing differently and better; defined a goal for postsecondary attainment for Michigan; identified strategies to meet that goal; and perhaps most importantly, committed to continue to work together after releasing this report to advance this plan of action. The recommendations in this report are the strong consensus of the work group members, and have been reviewed by their organizations and constituencies. 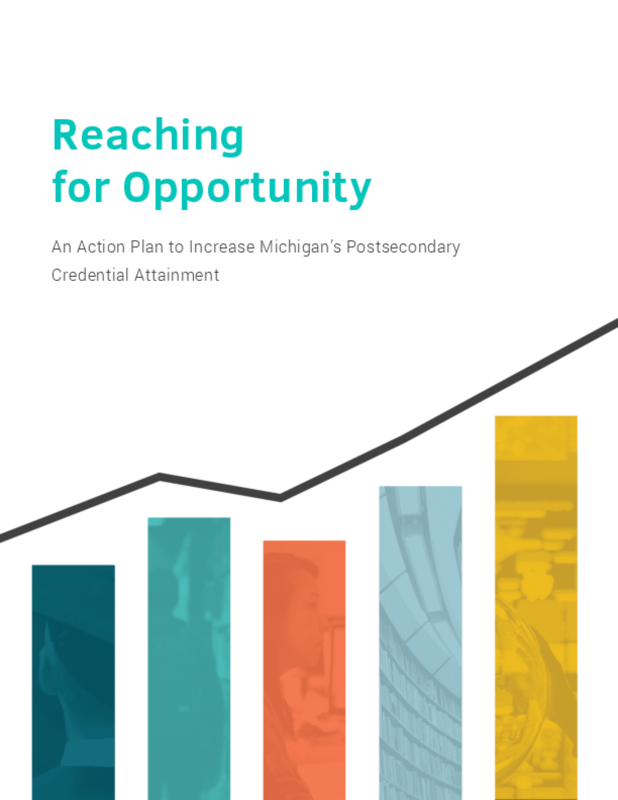 This report is the first step towards a new round of ongoing strategic action to ensure 60% of our citizens earn needed and valuable postsecondary credentials by 2025, and to make Michigan and its citizens economically competitive with the top performing states. Copyright 2015 Michigan Postsecondary Credential Attainment Workgroup.